The team at New House Match has been serving prospective buyers and sellers with Arlington real estate for over a decade. If you are new to the Arlington area or if you are from out of state looking to relocate to the state of Washington, then you are in for a real treat. The team of real estate agents at New House Match has a wealth of experience working with buyers and sellers to maximize the sale of their properties, perform free market analyses, and also to help buyers look for the best homes and properties that meet their needs. The New House Match user-friendly online search tool allows users to create a free account, perform unlimited property searches, and even create “favorites” lists of all of the homes and properties that meet buyers’ specific needs and criteria. 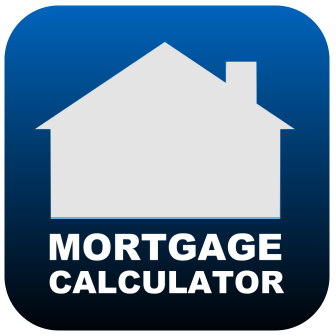 Purchasing a bank-owned home or property can create some uncertainty in many prospective buyers. Bank owned homes or foreclosures are often sold “as is”, which could mean a great deal of work and even a significant investment on repairs, upgrades, and improvements, in addition to the sale price. 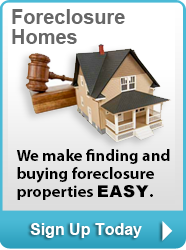 So how does a home or property become a foreclosure? Whenever a previous owner defaults on his or her mortgage or the terms of the note, the bank has the right to proceed with the foreclosure process to regain ownership of the property. Although first-time home buyers may be hesitant to purchasing a short-sell property or home, there are some prospective buyers who are looking for these types of properties intentionally to hopefully find some that are at a great price and in a great location to maximize their returns on investment. Many people and businesses are looking for creative ways to maximize their investments and boost cash flow today. Regardless of whether you are trying to increase cash flow, pay off a debt, pay for college or save for retirement, purchasing real estate might be able to help you achieve your investment goals. More and more people today are realizing the long-term value of purchasing an investment property. In an effort to boost cash flow or even maximize investments over the long-term and to reach future financial goals, many prospective buyers are looking to purchase real estate. The beauty of purchasing acreage in Arlington is it gives buyers the ability to do anything they want with the property, including building a home, building or even starting a farm. The real estate journey begins by determining which type of home or property you are looking for that will meet your needs as well as complement your lifestyle. If you are looking to upsize or downsize your home, or if you are looking to relocate entirely, then you want to make sure your next home is perfect for your lifestyle and needs as well as in a great location and at a great price. Looking for your dream home can be exciting and also a little stressful. Additionally, looking for that perfect dream home can be overwhelming in and of itself, especially if you are under a specific time frame to buy a home and sell your existing property. At New House Match, our team of licensed and professional real estate agents and real estate brokers are knowledgeable of the real estate process in the state of Washington, and we know where to go to find the best properties and homes for sale in the Seattle area, including Arlington waterfront homes for sale. So where did Craftsman style homes come home? Craftsman homes were first a concept and idea that originated during the American Arts and Crafts movement between 1880 and 1910. So what makes New House Match the perfect match for you? At New House Match, users can find everything they need to find their perfect home to closing, and everything in between. Arlington is home to numerous properties for sale, all ranging in style, location, and price range. An Arlington real estate agent will take the time to listen to your needs, learn about what you are looking for in a home or property, and then work with you to provide suggestions and recommendations on the best types of properties and homes in the Seattle area that fit your criteria. An Arlington top real estate agent will take the time to get to know you, learn about your real estate goals and needs, and serve as a guide to navigate you through your real estate journey. Finding that perfect home in the Arlington area begins can involve a significant research process. In fact, sometimes looking for homes and properties that fit your lifestyle, your needs, and your budget can be more involved and even more difficult than it may seem. The real estate process can be complex, depending on the buyer and seller’s financial position and situation as well as the property itself. The real estate process can also be confusing, especially for first-time home buyers and sellers. Buying or selling a home or property is a big decision. Selling a home or property can be a lengthy process, sometimes involving several long months of marketing your property, re-negotiating sale prices, and trying to get the most for your property in order to maximize your investment. Making the decision to sell your home could be a bittersweet situation. This could be a decision to upsize, downsize or relocate altogether. 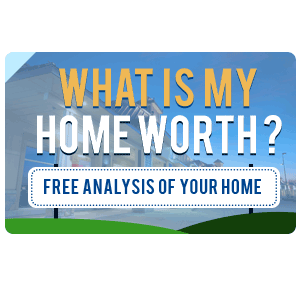 However, if you are ready to make the choice to sell home in Arlington, then you want to make sure you maximize your investment and make the process go as smooth as possible. 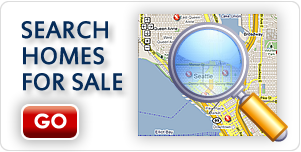 The residential real estate market in the Seattle area has changed considerably over the last several years. The demand for homes and properties in Seattle and in the Arlington area is increasing. The market is currently balanced between a buyer and seller’s market. If you are among the large number of first-time home buyers who are looking for a new condo in Arlington or within the Seattle communities, then you likely have a number of questions about where to go to find your new home or about relocating to the Seattle area in general. It doesn’t matter what type of property you are looking for, what your lifestyle and your preferences are, or what your budget or price point looks like, buying any type of property comes with a certain element of risk, especially if you are relocating to a brand new area that you know nothing about.